Home Depot's total return over-performed the DOW average for my 52 month test period by 58.12% which is great for this building supply retailer. Home Depot's cash flow is good and will allow the dividend to be increased, share buybacks and still have cash left over for business expansion. Home Depot has increased its dividend for 10 of the last ten years and presently has a yield of 2.7%, which is above average. Home Depot three-year forward CAGR of 10% is great and will give you growth as the United States economy grows, and housing remains strong. Home Depot (HD), is a home improvement retailer for the housing sector and is a buy for the dividend growth and total return growth investor. The management of HD is good and has continued to grow the business by using its cash to increase dividends and add to their existing store count while still having the cash to raise the dividend. Home Depot is 9.6% of The Good Business Portfolio being my IRA portfolio of good business companies that are balanced among all styles of investing. I normally trim a position when it gets to 8% of the portfolio but am pushing HD to 10% since the fundamentals look great. At 10% of the portfolio, HD will definitely be trimmed down to 9% of the portfolio. When I scanned the five-year chart, Home Depot has a great chart going up and to the right in a strong and steady growth pattern over the past five years. The downturn at the end of 2018 created a buying opportunity in Home Depot which has been retraced upwards, and HD still has more growth to come. Fundamentals of Home Depot will be reviewed on the following topics below. I use a set of guidelines that I codified over the last few years to review the companies in The Good Business Portfolio (my portfolio) and other companies that I am reviewing. For a complete set of the guidelines, please see my article "The Good Business Portfolio: Update to Guidelines, August 2018." These guidelines provide me with a balanced portfolio of income, defensive, total return and growing companies that hopefully keeps me ahead of the Dow average. Home Depot passes 11 of 11 Good Business Portfolio Guideline, a good score (a good score is 10 or 11). These guidelines are only used to filter companies to be considered in the portfolio. Some of the points brought out by the guidelines are shown below. Home Depot does meet my dividend guideline of having dividends increase for 7 of the last ten years and having a minimum of 1% yield, with ten of the last ten years of increasing dividends and a 2.7% yield. Home Depot is, therefore, a good choice for the dividend growth investor. The recent five-year average payout ratio is moderate at 48%. After paying the dividend, this leaves plenty of cash remaining for investment in expanding the business by adding locations and increasing the dividend. I have a capitalization guideline where the capitalization must be greater than $7 Billion. HD easily passes this guideline. HD is a large-cap company with a capitalization of $223 Billion. Home Depot 2019 projected cash flow at $13.1 Billion is good allowing the company to have the means for company growth and increased dividends. I also require the CAGR going forward to be able to cover my yearly expenses and my RMD with a CAGR of 7%. My dividends provide 3.3% of the portfolio as income, and I need 1.9% more for a yearly distribution of 5.2% plus an inflation cushion of 1.8%. The three-year forward CAGR of 10% meets my guideline requirement. This future growth for Home Depot can continue its uptrend benefiting from the growth of the United States housing sector. Home Depot also has the cash to expand their foreign operations. My total return guideline is that total return must be greater than the Dow's total return over my test period. HD passes this guideline since the total return is 105.36%, more than the Dow's total return of 47.24%. Looking back five years, $10,000 invested five years ago would now be worth over $28,600 today. This makes Home Depot a great investment for the total return investor looking back. HD's 2017 tax rate was 36%, which has come down to 24% last year. One of my guidelines is that the S&P CFRA rating must be three stars or better. HD's S&P CFRA rating is three stars or hold with a recently reduced target price of $200, passing the guideline. HD's price is presently at the target. I feel S&P are wrong and HD can easily get back to its high of $215 this year, giving an 8% upside gain or more. HD is at the target price at present and has a PE of 20, making HD a fair buy at this entry point if you are an investor who wants an above average increasing dividend and total return that beats the DOW and is a cash generation machine. One of my guidelines is would I buy the whole company if I could. The answer is yes. The total return is great, and the above average yield makes HD a good business to own for income growth long term. The Good Business Portfolio likes to embrace all kinds of investment styles but concentrates on buying businesses that can be understood, makes a fair profit, invests profits back into the business and also generates a fair income stream. Most of all what makes HD interesting is the potential long-term growth as the increases in the housing market continues, and the cash flow is given to the shareholders via dividends and share buybacks. The Good Business Portfolio Guidelines are just a screen to start with and not absolute rules. When I look at a company, the total return is a key parameter to see if it fits the objective of the Good Business Portfolio. Home Depot over-performs against the Dow baseline in my 52-month test compared to the Dow average. I chose the 52 month test period (starting January 1, 2015, and ending to date) because it includes the great year of 2017, and other years that had fair and bad performance. 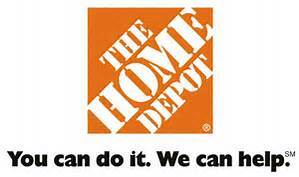 The good total return of 105.36% makes Home Depot a great investment for the total return investor and also has a steadily increasing income. HD has an above average dividend yield of 2.7% and has had increases for ten of the past ten years, making HD a good choice for the dividend income investor. The dividend was just increased in February 2019 to $1.36/Qtr. from $1.03/Qtr. or a 33% increase. For the last quarter on February 26, 2019, Home Depot reported earnings that beat expected by $0.09 at $2.25 and compared to last year at $1.69. Total revenue was higher at $26.49 Billion more than a year ago by 10.9% year over year and missed expected revenue by $90 Million. This was a good report with the bottom line and top line beating expected values and having a good increase in earnings compared with last year. The next earnings report will be out in May 2019 and is expected to be $2.20 compared to last year at $2.08, a nice gain. Home Depot is a large building material retailer in the United States and foreign countries. Home Depot, is a home improvement retailer. The Company sells an assortment of building materials, home improvement products, and lawn and garden products, and provides various services. The Home Depot stores averaged approximately 104,000 square feet of enclosed space, with over 24,000 additional square feet of outside garden area, as of January 29, 2017. The Home Depot stores serve three primary customer groups: do-it-yourself (DIY) customers, do-it-for-me (DIFM) customers, and professional customers. The Company had approximately 2,278 stores located throughout the United States, including the Commonwealth of Puerto Rico and the territories of the United States Virgin Islands and Guam, Canada, and Mexico, as of January 29, 2017. Overall Home Depot is a good business with 10% CAGR projected growth as the economy grows going forward with increasing demand from a good housing market. The good earnings, revenue growth, and cash flow, provide HD the capability to continue its growth by expanding across the United States and foreign countries. The Fed has kept interest rates low for some years, and on December 19, 2018, they raised the base rate of 0.25%, which was expected. I believe that they will go slow in 2019, which should help keep the economy on a growth path. If infrastructure spending can be increased, this will even increase the United States growth going forward with better economics for the consumer. At the March 20 meeting, the Fed lowered United States GDP projection for 2019 which they said are getting to neutral on the economy, projecting no rate increases for 2019. The Fed meeting Statement was a wait and see and a bit more dovish than the last meeting. Fiscal 2018 was another record year for our business as we achieved the highest sales and net earnings in company history. Fiscal 2018 sales grew $7.3 billion to $108.2 billion. An increase of 7.2% from fiscal 2017 while diluted earnings per share grew 33.5% to $9.73. And although fiscal 2018 was a record year for our business, our fourth quarter comp sales were slightly below our expectations as the quarter experienced some unfavorable weather. Ticket and transactions grew in the quarter, and we saw a growth in both Pro and DIY categories, Pro sales once again outpaced DIY sales in the quarter. And the work that is doing to enhance the service capabilities for our Pros continues to resonate. I am very proud of our associates for continuing to do what they do best: serving our customers. While we are seeing significant in our online sales, these online shoppers to the relevant to our stores have approximately 50% of our online U.S. orders are picked up in our stores, a testament to the power of our interconnected retail strategy. We continue to rollout automated lockers in our stores to make - picking up an online order easier and more convenient. Today, approximately 1,000 stores have lockers with more to come in 2019. Customer-sponsored lockers have been very positive. As almost 94% of customers raided their locker pickup experience a five out of five stars. We fundamentally believe that when a customer comes to one of our stores, it has to be a great experience. With our investment program approximately 40% of our U.S. stores now have a new look and feel and customer response has been very positive. The store investments are not just about the customer response as we're also seeing an increase in social engagement and higher productivity. The quotes above show the feelings of top management to the continued growth of the Home Depot business and shareholder return with growth in future earnings and dividends. I think the Home price increases and greater demand in the housing sector, provide an increasing consumer demand. Also, the recent income reduction plan puts more money in both consumers' pockets and the cash flow of Home Depot, giving HD strong growth in revenue, earnings, and dividends justifying the company’s PE valuation of 20. 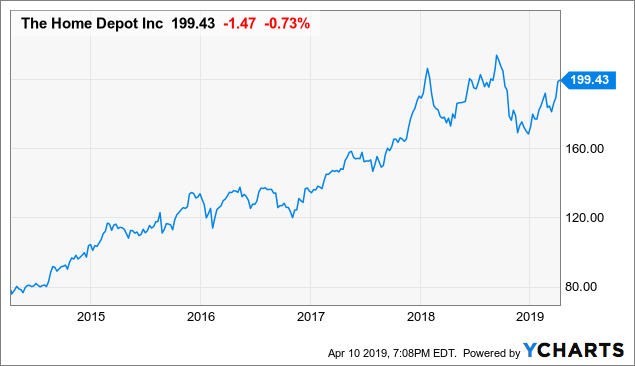 Home Depot is a good investment choice for the dividend growth and total return investor with its above-average growing dividend that has been increased for ten of the last ten years. Home Depot is 9.6% of The Good Business Portfolio. The position will be held and let grow some more to 10% of the portfolio before it is trimmed. HD is a cash machine and will continue to bring value to its shareholders. If you want a stable, growing dividend income and good total return potential, HD may be the right investment for you. I intend to watch the earnings reports for the companies in the portfolio and may finally decide to trim my high flyers that are over 8% of the portfolio so I can invest in good companies on my buy list. On April 10, trimmed position of Hewlett Packard from 0.6% of the portfolio to 0.3%. The last earnings report was poor, and future growth looks weak at 2%, time to sell HPQ for a better business. On March 26, trimmed position of Hewlett Packard from 1.0% of the portfolio to 0.6%. The last earnings report was poor, and future growth looks weak at 2%, time to sell HPQ for a better business. On March 22 added to position of Simulation Plus (SLP) from 0.45% of the portfolio to 0.60%. I will add slowly to this position as available cash allows. On March 13 increased position of Realty Income Corp. (O) to 0.85% of the portfolio, I could use a bit more steady monthly income. On March 12 the portfolio closed out the position of Arconic (ARNC), I only have one more commodity play Freeport McMoRan (FCX) that I think will go up over time. On March 11 the portfolio reduced the position of Arconic from 0.4% of the portfolio to 0.3%. I will sell the rest of this position within the month. The dividend was just cut, and forward growth is under-par. On March 7 added to position of Simulation Plus from 0.33% of the portfolio to 0.45%. I will add slowly to this position as available cash allows. On March 4, trimmed position of Hewlett Packard (HPQ) from 1.3% of the portfolio to 1.0%. The last earnings report was poor, and future growth looks weak at 2%, time to sell HPQ for a better business. On February 28, trimmed position of Boeing (BA) from 16.1% of the portfolio to 15.8%. I love Boeing, but you have to have diversification. The Good Business Portfolio trims a position when it gets above 8% of the portfolio. The five top percentage-of-the-portfolio companies in the portfolio are Johnson & Johnson (JNJ) at 8.2% of the portfolio, Eaton Vance Enhanced Equity Income Fund II (EOS) at 8.0% of the portfolio, Home Depot (HD) at 9.6% of the portfolio, Omega Health Investors (OHI) at 8.1% of the portfolio and Boeing (BA) at 14.0% of the portfolio. Therefore BA, EOS, JNJ, OHI, and Home Depot are now in trim position, but I am letting them run a bit since they are great companies. Boeing is going to be pressed to 15% of the portfolio because of it being cash positive on 787 deferred plane costs at $316 Million in the first quarter of 2017, an increase from the fourth quarter. The first quarter earnings for 2018 were unbelievable at $3.64 compared to expected at $2.64. Farnborough Air Show sales in dollar value just beat out Air-Bus by about $6 Billion, and both companies had a great number of orders. Boeing received an order for 18 more KC-46A planes. The second quarter 2018 earnings beat expectations by $0.06 at $3.33, but a good report was hurt by a write off expense on the KC-46 which has started delivery in 2019. Two KC-46A tankers were delivered in January 2019. As a result of the good fourth-quarter earnings, S&P CFRA raised the one-year price target to $500 for a possible 20% upside potential. Boeing has dropped in the last 3 weeks because of the second 737 Max-8 crash, and I look at this as an opportunity to buy BA at a reasonable price. This is just my opinion. JNJ will be pressed to 9% of the portfolio because of its defensive nature in this post-Brexit world. Earnings in the last quarter beat on the top and bottom line and Mr. Market did nothing. JNJ has an estimated dividend increase to $0.97/Qtr. in April 2019, which will be 57 years in a row of increases. JNJ is not a trading stock but a hold forever; it is now a strong buy as the healthcare sector remains under pressure. For the total Good Business Portfolio, please see my article on The Good Business Portfolio: 2018 4th Quarter Earnings and Performance Review for the complete portfolio list and performance. Become a real-time follower, and you will get each quarter's performance after the next earnings season is over. Disclosure: I am/we are long BA, JNJ, HD, OHI, MO, IR, DLR, GE, PM, EOS, LMT, O, HPQ, SLP. I wrote this article myself, and it expresses my own opinions. I am not receiving compensation for it (other than from Seeking Alpha). I have no business relationship with any company whose stock is mentioned in this article. Additional disclosure: Of course, this is not a recommendation to buy or sell, and you should always do your own research and talk to your financial advisor before any purchase or sale. This is how I manage my IRA retirement account, and the opinions on the companies are my own.